We provide a range of creative and engineering skills for short and long term assignments. The resolution of complex business and user requirements is a particular speciality. Recent engineering tasks have included the successful definition, design, installation and commissioning of extensive communications and computer networks, including terrestrial, wireless and satellite communications. Some tasks have involved devising optimal solutions for sale to clients' customers. Other tasks have entailed helping "end user" clients to define, specify, evaluate and procure appropriate solutions. 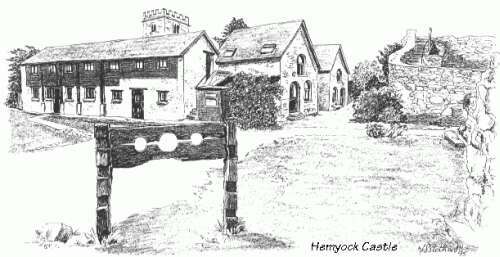 Recent creative tasks have included researching and publishing booklets on a variety of topics, the preparation and production of graphic and photographic images, and easily accessible Web pages such as the Hemyock Castle Web site. An informal online survey of local businesses, especially home-based businesses. The idea is actually to ask local business people what extra services they would like, find useful, actually use, and perhaps pay for? Which aspects of our villages, such as our Post Offices, bank, and library are vital to people working from home? What should be built into the Councils' future plans & policies? This survey has been arranged by & is sponsored by Curlew Communications Ltd.
©2001 - 2018. Curlew Communications Ltd.